Anethum Graveolens. 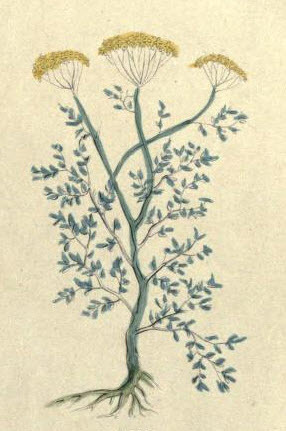 It has seldom more than one stalk, neither so high nor so large as Fennel, being round, and having fewer joints thereon; its leaves are sadder and somewhat long, and is so like Fennel that it deceives many, but harder in handling, and somewhat thicker, and of a stronger unpleasant scent; the tops of the stalks have four branches, and smaller umbels of yellow flowers, which turn into small seed somewhat flatter than Fennel-seed. The root is long. It usually ,rows in gardens and grounds for the pur- pose, and is also found wild in some places. Dill is a stimulant and carminative, and much used in flatulency. The decoction of Dill is good to ease swellings and pains. The seed is of more use than the leaves, and more effectual to digest vicious humours, and is used in medicines that serve to expel wind, and the pains proceeding therefrom. An oil made of Dill is effectual to warm or dissolve humours and imposthumes, to ease pains and procure rest. The decoction of Dill, herb or seed, in white wine is a powerful expeller of wind. 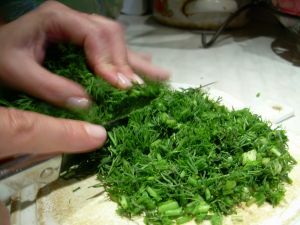 The Dill Water of the shops is made by rubbing down the oil of Dill with sugar or Magnesia, adding water; and straining�about one drop of oil to one ounce of water. Dose from half an ounce to two ounces for adults, and one or two tea-spoonfuls for children.